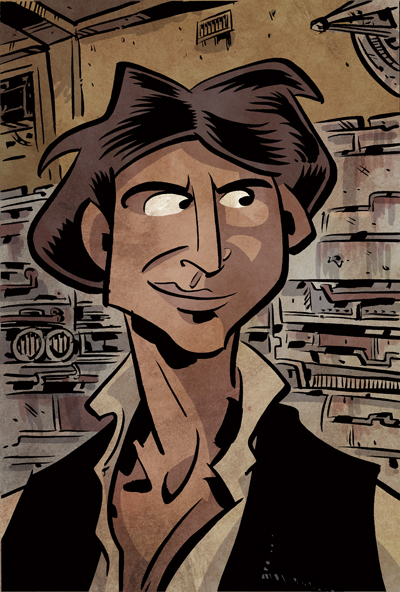 Here's another Star Wars drawing - Han Solo. Wow. Really captures the essence of Han from ANH. These are great! The caricatures are fun and I really love the color schemes. Some pencils from "Crogan's Loyalty"